Can you guess what the world’s most popular reporting and planning tool is? It should hardly come as a surprise that the most widely used reporting and planning tool worldwide is in fact Microsoft Excel. 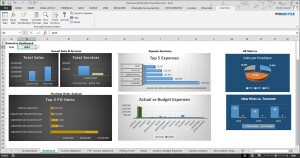 Electronic spreadsheets have been around for decades and Excel has more than 25 years in tested and proven capability. While it’s acknowledged that Excel is a vulnerable tool that can be prone to errors and miscalculations, the vulnerabilities are overshadowed by the resounding perspective that it’s also the most flexible and agile reporting and analysis tool on the market. I have written extensively about the importance of Excel, (particularly in the Winshuttle community), as a staging platform for data to be created, maintained or distributed. Excel can even be used as a poor man’s alternative to forms and mobile technology, if implemented with Winshuttle in a thoughtful way. There are vast reasons Winshuttle users and business and finance analysts & planners love Excel. With an easy to use, relatively intuitive interface, it is easy to adjust numbers, and is particularly useful for local ad-hoc analysis. Whether you’re a macro ninja or a basic user, the formula and function library is easy to leverage to build complex calculations. On the other hand, despite its ease of use, some functions remain tricky and prevent users from getting better information from their data. For years we’ve contemplated how our customers use SAP data sets and data from other sources and researched how we can assist Excel users and Query with Excel users to build more sophisticated content for distribution. 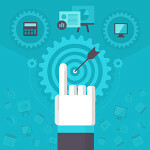 Winshuttle Analytics is positioned to help. Targeting Microsoft Excel users, Analytics is comprised of two components as add-ons for Winshuttle Studio and Winshuttle Runner users. The Excel Add-In for Analytics – Insights – Desktop Edition allows you to perform analysis in Excel on data that’s pulled directly from SAP via Query. You can work offline with the data or refresh it on demand. The neat drill-down reporting capability allows you to write-back data to SAP via your Winshuttle Transaction recordings, simply for the data you want to change. Broadcast capabilities enable you to work from a single workbook and break the content into distribution sets, based on selection criteria within the workbook itself. You’re able to distribute reports in a variety of formats including XLSX, MHTML and PDF from a schedule or on-demand, in a consistent and controlled way. Most importantly, Winshuttle Analytics is complementary to your existing Business Intelligence technologies and requires no additional authorizations or server technology in order to be used. 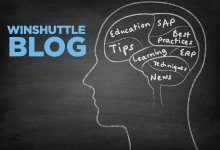 How Does Winshuttle Analytics Work? If you’re interested in learning more about Analytics, attend our seminar Introducing Winshuttle Analytics for Excel and SAP Thursday July 16th!